Green Giant provides clients with Tree and Shrub Care Service that keep their landscapes healthy and looking great year after year. Our highly trained technicians can diagnose and recommend ways to correct problems with any plant in your landscape. The Tree and Shrub Services that Green Giant provides are referred to as Plant Health Care. We don’t plant the trees and we don’t cut them down – we keep them healthy. Most plants growing in the suburban or urban landscape are living in an environment that is very different than the plant’s natural environment. For example, a Dogwood Tree’s natural environment is in the understory of a forest. As an understory tree, the Dogwood is shaded by the taller trees and also surrounded by many acres of trees and underbrush that protect the Dogwood from strong winds, sleet and hail. This is a very different situation than the Dogwood Tree growing in your yard. Another significant difference between a plant’s natural environment, and where we typically plant our trees & shrubs, is the soil. If you dig down into the soil of a forest, you will see a living environment with rich, loamy soil. This soil is created from decades and sometimes hundreds of years of leaf litter dropping and decaying on the forest floor. In this soil there are many living things including beneficial bacteria, insects, fibrous roots, and a lot of other organic matter – it even smells good! Green Giant’s Nutrient Management Services will amend the soil to mimic the plant’s natural environment as much as possible. Correct diagnosis – If you don’t get the diagnosis right, you probably won’t get the solution right. Green Giant has the knowledge and ability to properly diagnose what is wrong with your plants. Learn how to diagnose plant problems. Nutrient Management – Think Fertilizer plus a whole lot more. First, yes, Green Giant does include organic based fertilizer in our nutrient management programs but there is much more to it. We also introduce supplements to make the soil as similar as possible to the soil in the plant’s natural environment – the forest. For example, “Mycorrhizae” is a beneficial fungus that grows naturally in the soil of a forest – but is rarely found in a cultivated landscape. The fungus colonizes around plant roots, grows into the root and out into the soil, forming a biological link between the root and the soil. 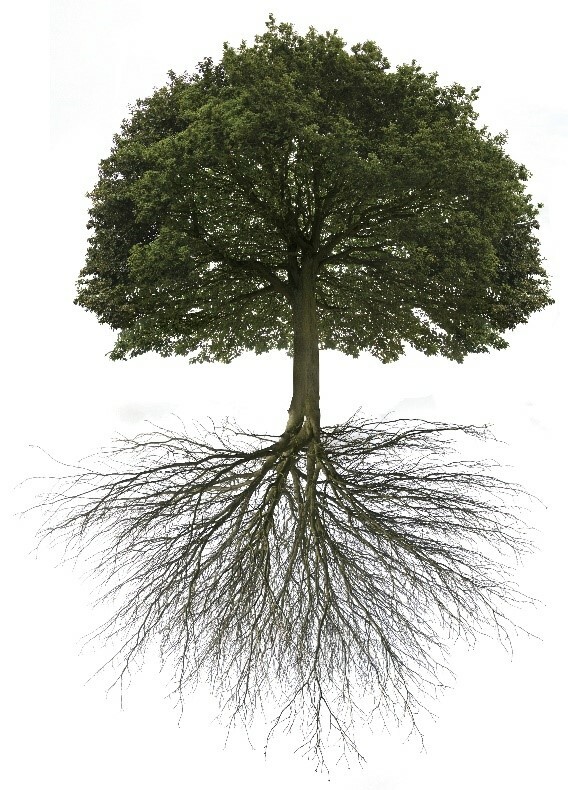 The mycorrhizae makes plant roots healthier and much more efficient so they can better absorb water and nutrients. It has been proven that mycorrhizae in the “rhizosphere” (the soil area directly adjacent to the plant’s roots) greatly improves the growth rate, disease resistance and survival of plants. This is particularly true for plants growing in poor quality soil, urban/suburban environments, drought conditions, and compacted soils. In addition to mycorrhizae, our Nutrient Management Services include micronutrients, slow-release fertilizers and organic soil supplements to aid the long-term health of your landscape. Insect & Mite Control – There are many types of insects & mites that will land on the plants in your garden. Most are either beneficial or have no impact, good or bad, on your plants. However, there are also plenty of insects that damage and can kill plants. When populations of damaging insects are large enough, the insects can do a lot of damage in a short period of time if they are not treated. Most insects that damage or kill plants in your flower beds, garden or landscape are not native to our part of the world – they are invasive insects that have been introduced to our natural habitat and they generally have few natural predators. 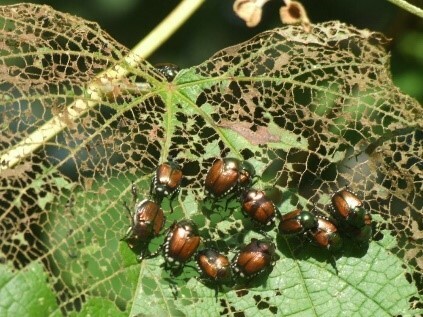 Some of the more common insects that attack trees are the Spotted Lanternfly, Japanese Beetles, Aphids, Scale Insects, Chafers, Woolly Adelgid and Bagworm. When treating these insects, the goal is to kill the insects that cause damage while preserving the beneficial insects. The use of organic products, such as horticulture oil and natural soil supplements, are our first choice. Disease Control – Plants are susceptible to many types of diseases and many can be easily controlled with the right treatments at the right time for the particular disease. Green Giant’s certified technicians can diagnose plant diseases and design an effective plan of action for your situation. Our certified technicians have the training and experience to maintain your home’s landscape and protect it during any season. Green Giant provides customers with Lawn, Tree & Shrub Care Programs based on sound Plant Health Care management best practices. All of our programs are based on the principles of Integrated Pest Management (IPM) which is an environmentally friendly and effective approach to controlling damaging insects, diseases and invasive plants. For more information about IPM click here.